A Little Valentines Day Mani! Happy early Valentines Day everyone! I wanted to share with you a little Valentines Day manicure for those of you who are painting their nails tonight or tomorrow morning, or even for the weekend if that’s when you’re choosing to celebrate it. 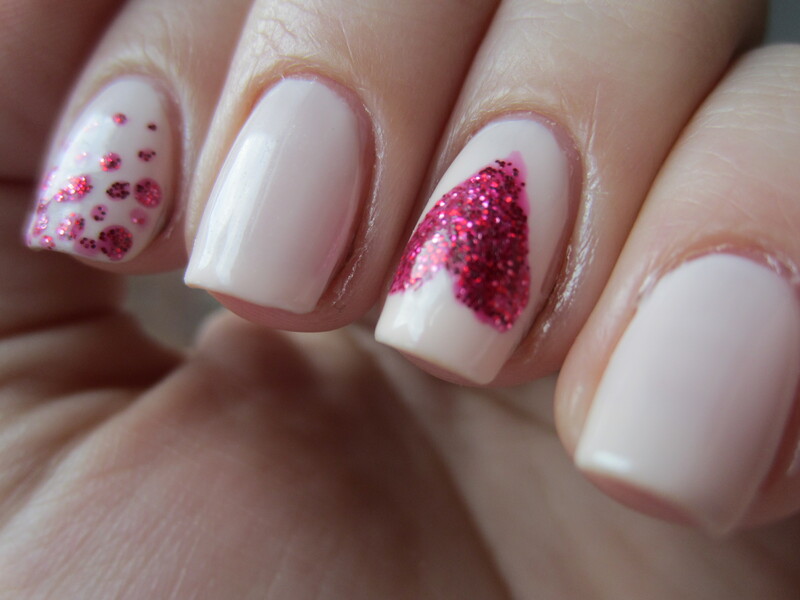 Even if you aren’t going to celebrate Valentines Day, this is just a simple and cute manicure. I first want to say, I’m not a girl that does nail art. I never was a big fan of it on my own nails, but I can really appreciate that time, energy and talent that it takes others to do fun and inventive manicures. Although I may not do nail art on myself, I wanted to try a little something simple that anyone can do. If I can do this manicure, a girl who is a nail art noob, then anyone can do this! And I didn’t use any special tools or anything to get this manicure, so if you’re a girl who owns a hair pin, then you can do this manicure. For this manicure I used Zoya “Stephanie” for the milky pink base. I have a full review of Stephanie to come because I picked it up in the recent Zoya sale, where they were offering 3 polishes and shipping for $10. Then I used Zoya “Astra” for the heart and dots. Astra is a red and silver glitter in a sheer red jelly base. You can wear Astra on its own, and I have many times before, but this was my first time layering it over a pink polish. How I did the heart, I just took Astra’s brush straight out of the bottle and did 3 big dots, kind of to make a Mickey Mouse shape. Then I scraped all the polish off the sides of the brush and free-handed the heart shape, using the polish that was in the center of the heart. Then I dabbed extra polish where there were bald spots. For the dots I used an unbent bobby pink. I dipped the tip into the polish then dabbed it around my nail. The dots weren’t my favorite, but I think the heart came out kind of nice! Especially for my first try. What do you guys think? 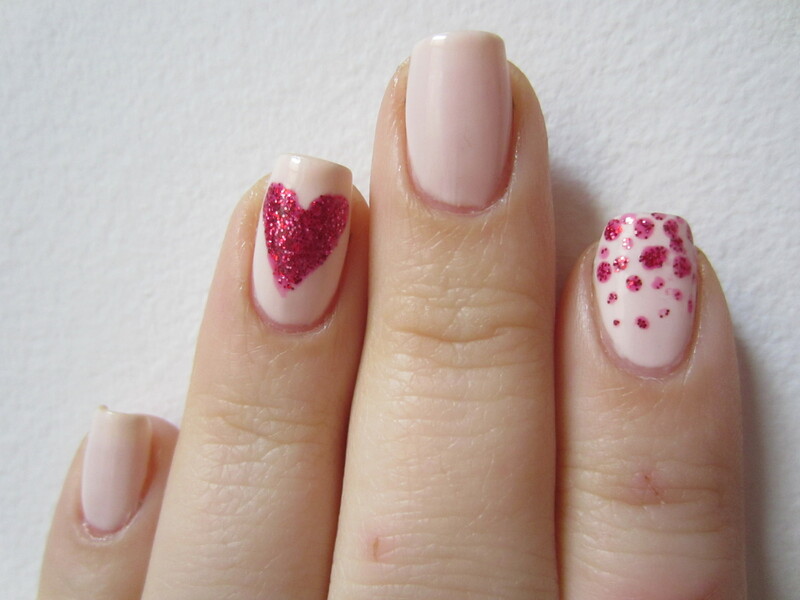 Are you doing any cool Valentines day manicures? Pretty manicure. I love Stephanie. I haven’t seen that one before so I’m looking forward to your review. Astra is also gorgeous. Awh the heart is super cute, happy valentine’s day! aww thanks girly! i know its a little late but i hope you had a great valentines day!